Nixon Watches is one of the premiere watch making companies in the world. The quality of Nixon Watches is somewhat surprising to some people since the company doesn’t have the long and extensive history of watch making like some other top quality watch companies. So what makes Nixon Watches so good, and why should those looking for a great watch consider buying a Nixon? Nixon Watches formed only recently-the company began as a small boutique watch manufacturer in 1997 in California. They started out making specialty watches for the fashion market and for young people. They set out to create very unique and different watches that were still very high quality. While some brand new watch companies with such lofty goals would fail, Nixon did not. After almost ten years of success in the market, Watches was purchased by Billabong International for a little more than $50 million dollars. Under the Billabong umbrella, the Watches brand name expanded rapidly. In addition to watches, they now create other types of products, including bags, wallets, belts, hats, shirts, jackets, headphones, and more. However, their high quality watches remain their signature product. So what makes Nixon so great? Their timepieces are known to be of the highest quality, of course. A Nixon Watch is going to last for years, and it’s sure to survive the everyday wear and tear that you’ll put it through. These watches have style and flair, too, and anyone wearing a Nixon Watch is sure to get noticed. 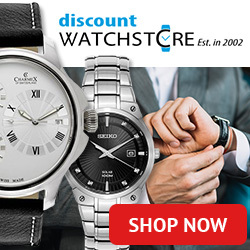 These watches send the message to others that you’re interested in high quality items and aren’t afraid to go all-out. Of course, Nixon Watches aren’t the cheapest, but people know that purchasing a quality watch is going to cost a little bit. Mass produced, generic watches may be much cheaper, but they aren’t going to have a distinctive look about them, nor are they going to be anywhere near as high quality. In fact, you may not be able to find a generic watch that really fits your personality. With a Nixon, however, you’re almost guaranteed to find that perfect watch that sends the exact message you want it to. They have watches that will appeal to everyone, from those who want a conservative look all the way to those who want something playful and different. If you really want to get fancy, there’s the Elite line of Nixon Watches. These watches are expensive, but they’re also incredibly sleek and amazing looking. Nixon Watches are so popular because of the quality of the products and because of the message they send. If you’re looking for a great watch that will reflect your personality and last for years, a Nixon Watch is exactly what you want. It won’t be cheap, of course, but when you’re going for quality, price is no object.